Whether you're battling dryness due to cold weather or are a year-round sufferer, you might find relief in Pevonia Preserve Body Moisturizer. Hydrating body products can provide immense relief when flaky skin appears. With spa-quality products to its name, it's no wonder that Pevonia Botanica is one of the beauty industry's hidden gems. The company uses natural marine and botanical ingredients in its products, which range from facial cleansers for all skin types and anti-stress bath salts to sunscreens and shaving products for men. The diverse range also includes spa-specific products used in professional facilities. For those who want to bring a touch of spa tranquility to their homes, there's the Spa Oasis line, a collection of relaxing teas and candles. Founded in 1991, the company prides itself on more than just natural formulations. It is also environmentally safe, boasting recyclable and biodegradable packaging. 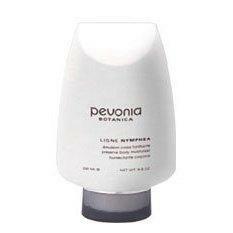 Additionally, Pevonia Botanica does not test on animals. Apply lotion post-shower for best results. Safflower Seed Oil: Nourishing, smoothing and rejuvenating, this oil is ideal for use on damaged skin. It traps moisture in the skin and is also non-comedogenic, making it especially comforting to sensitive skin types. Alpha Hydroxy Acids: One of the beauty industry's most commonly used ingredients, AHAs are known for their ability to decrease pigmentation and age spots, shed dead skin cells and reveal healthy skin underneath. Vitamin E: This powerful antioxidant helps fight free radical damage and plays an important role in anti-aging benefits of various skin care products. Rosemary Leaf Extract: This toning ingredient helps improve skin tone and encourage firmness. Horsetail Leaf Extract: This rejuvenating extract keeps the skin soft and smooth, and also promotes collagen production. Pine Needle Extract: Taken from pine tree leaves, this extract is recognized primarily for its antiseptic effects. It stimulates and energizes the skin, encouraging cellular turnover rates. Chamomile Flower Extract: Recognized primarily for its healing properties, chamomile is excellent for hypersensitive skin or individuals who tend to suffer allergic reactions to traditional products. Lemon Peel Oil: Especially effective for brightening the skin, this ingredient will improve dull, sallow skin tones and calm redness and irritation. French Rose Extract: Known for its ability to intensely hydrate and soothe, this refreshing extract helps nourish even the most parched skin. Orris Root Extract: Excellent for aging skin, orris root stimulates the skin and improves elasticity, thereby brightening the skin's tone. It is suitable for all skin types, but may best benefit individuals with especially dry skin. The combination of alpha-hydroxy acids, oils and vitamins helps improve the texture of the skin, which is especially important if the dryness has left you with thick, alligator skin in need of some serious attention! Sure, we all know how to spread moisturizer on, but there's more to healing dry skin than just slathering it on haphazardly every day. In fact, the way you apply your moisturizer is as important as what exactly you're applying in the first place. The most beneficial time to apply moisturizer is after a shower or bath. Dry your skin with a fluffy towel, taking care to dab it so that it's left damp instead of rubbing it completely dry. Follow up with a generous application of the moisturizer, massaging it thoroughly into extra dry areas. The act of applying moisturizer to damp skin allows it to seal the moisture in, thus replenishing hydration much more effectively.